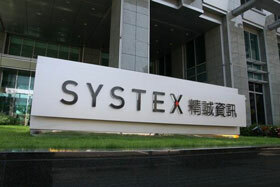 SYSTEX Corporation (stock code 6214) was founded in 1997, is Taiwan's information service industry leading enterprises, in Taiwan, China and Hong Kong has more than 50 operating point, has nearly 3000 employees, the first on the list of top one hundred Taiwan services across the foot of the mainland, Hong Kong and Taiwan Asia regional information service group co., LTD. In 2016, the combined revenue was us $502 million. According to Taiwan's authoritative financial and financial media, "Taiwan 500 service industry survey", published in 2017, was the first in Taiwan's software industry for 11 consecutive years. In 2003, we entered the mainland of China and established a sincere China, providing IT services and software procurement for enterprise customers. Become the core partner of Microsoft, Symantec, Veritas, Oracle, VMware, Adobe and other international manufacturers. 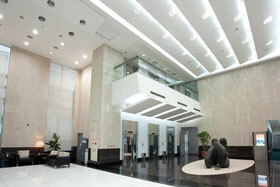 Sincere China head office in Shanghai, for mainland, business radiation northeast, north China, east China, central China, south China, five area, dalian, shenyang, Beijing, nanjing, suzhou, hangzhou, shenzhen, guangzhou and other operating points. With nearly 10,000 corporate clients, many of these cases have received wide attention in the industry.